Merriam-Webster defines the adjective camp as a word to describe “something so outrageously artificial, affected, inappropriate, or out-of-date as to be considered amusing”, and further “a style or mode of personal or creative expression that is absurdly exaggerated and often fuses elements of high and popular culture”. Colloquially, however, “camp” is often considered a negatively connotated term in reference to overly feminine mannerisms displayed by men, and thus unfortunately serves a rather unpleasant purpose. In celebration of its true meaning and rich backstory, though, and possibly to liberate it from the stigma it’s surrounded by, New York City‘s Metropolitan Museum Art and American Vogue just announced the theme of next year’s annual Met Gala: “Camp: Notes on Fashion”. Inspired by late, iconic writer and critic Susan Sontag’s 1964 essay “Notes on ‘Camp,”, head curator Andrew Bolton aspires to create a spectacle honoring the characteristically over-the-top aesthetic that has fluctuated in popularity over the course of centuries. Vogue‘s living legend Editor-In-Chief Anna Wintour, pop stars Lady Gaga and Harry Styles, and Gucci’s Alessandro Michele will serve as co-chairs for the event, all of whom have utilised and channeled the word and its flamboyant nature through their work and appearance, respectively. To best prepare you for the Spring 2019 exhibition and give you our very own spin on and look into the pop cultural history and significance of being camp, we composed a brief guide on how the expression has shaped, continues to shape, and has been shaped by the times. As is the case with quite a lot of now-mainstream trends, the concept of camp more or less derives from LGBTQ vernacular, and was initially somewhat of an umbrella term referring to behavioural and visual traits attributed to homosexual men, all of which were largely considered symptoms of effeminacy. 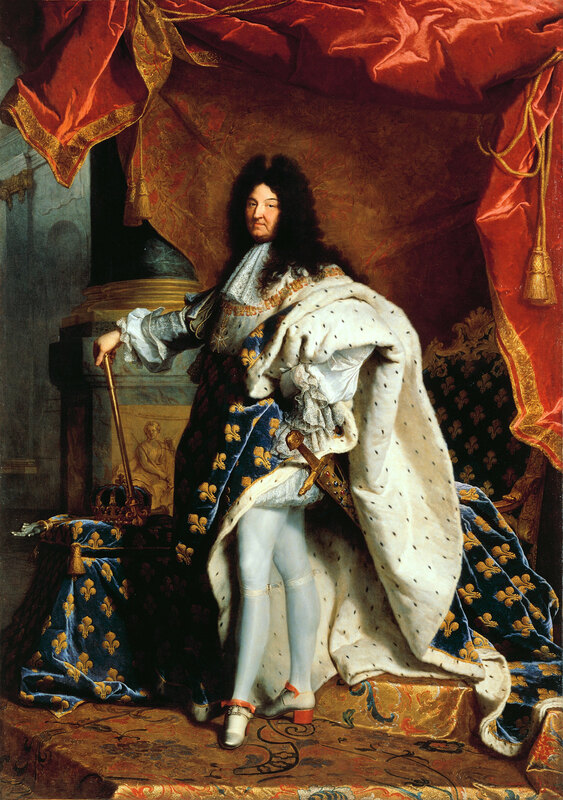 It stems from the French verb, “se camper”, that means “to pose in an exaggerated fashion”, stretching all the way back to 17th century’s Louis XIV, then King of France, and the opulence of baroque elements in clothing, hair and make-up, home décor and architecture. Versaille, once the epicentre of pompous culture, serves, to this day, as a birth place of ornamental excess. Prior to Susan Sontag’s aforementioned essay and an overall, pop cultural appreciation for lavish extravagance in art forms — such as theatre, film and fashion — and camp as an art form in its own right — as in drag, cabaret and comedy performances —, the word camp had already spread in context to the point of it partially taking shape as a derogatory adjective capitalizing off of bias, prejudice and ridicule towards non-heteronormatively acting individuals. In the 1964 essay, Sontag pointed out that “camp” had become the embodiment of an aesthetic phenomenon, bestowing responsibility for its popularisation on artistic contributions to film, theatre, fine art and literature from the 50s. Fast forward a few decades, modern day poster children of the camp style protrude in all creative mediums. Famed screenwriter and director John Waters and his knack for the oversaturated managed to establish the genre, and further, queerness in film and culture at large, paving the way for many other artists to later emerge with great success in- and outside of their niche-communities. Most notably RuPaul — arguably the best-known drag queen in the world. Cher, Goddess of Pop, who dabbled in pretty much every imaginable style of music and clothing there is over the course of an almost 60 year career, is a true camp icon herself, her fascinating wardrobe and dramatic voice having become just as vital to camp art as the singer herself. As will come as little surprise to you, fashion designers, particularly, have played a big part in the manifestation of camp aesthetics, many of which often go hand in hand with a binary breaking sense of identification and personal expression through bedazzled — often in-keeping with humorous undertones — garments. Among many others, we can’t help but think of Elsa Schiaperelli’s surrealist couture or Franko Moschino‘s refreshingly comical approach at conquering an industry that takes itself so seriously. And let’s not forget Gucci Creative Director Alessandro Michele, whom we’ve mentioned up above as one of the Met’s helping hands. His distinctively kitsch-y handwriting was a breath of fresh air at the Italian luxury house that, before him, had dulled through lack of imagination. Through Michele, Gucci reemerged as one of the most successful and recognisable brands of recent history, having made whimsical, generously embellished ready-to-wear and accessories an integral asset to the brand’s new DNA. The list of creatives that opt and have opted for more-is-more as opposed to less-is-more goes on and on, as “camp” has long become a respected category, if you will, in fashion, film and other arts, however explosive it may seem at first sight. Far more interesting, you might say, is the question as to how and why people have come to embrace “camp”, and whether or not this love for the outrageous goes far deeper than simple preference. While, of course, it can solely be a question of taste, amplifying an extroverted personality through methods of camp aesthetics has proven to be an empowering political tool. Today more than ever, it seems, turning up the volume on not only your voice, but on your clothes can become crucial in times of division. Making visual statements so powerful they disrupt or even shatter society’s beliefs of what is normal or tolerable can serve as an act of emancipation from prescribed boxes, labels. Reclaiming a word that’s been wrongfully turned an insult and declaring independence from unnecessary restrictions pose as methods of subversion in an age where politics appear to be moving backward instead of forward. What “camp” really is and how one portrays it, is as easy to answer, as it is difficult. It lies in your very own judgement, what “camp” is for you. The only universal trick there is to being “camp” is the courage to actually practice it.